What Makes Sardines a Superfood? Sardines are rich in omega-3 fatty acids. When we seek food as medicine, choosing anti-inflammatory foods is key. This means eating more omega-3 fatty acids (which reduce inflammation) and less omega-6 fatty acids (which increase inflammation). Seafood is supreme when it comes to omega-3's, and oily fish like sardines and salmon pack the biggest omega-3 punch. Sardines are a great source of calcium. Many people following a dairy-free diet like the paleo autoimmune protocol worry about getting enough calcium. It turns out that dairy isn't the most bio-available form of calcium anyway. Leafy greens are a good calcium choice, but sardines are even better. Note: You need to choose sardines with the bones to get this benefit (not sardine fillets). Don't be alarmed! The bones and skin in canned sardines are so soft that when you make this salad, the entire sardine mashes into one consistently soft texture. Sardines are rich in vitamin D, vitamin B12, selenium and phosphorous. Vitamin D is usually collected through sunshine, and it's rare to find foods that provide this important nutrient. Sardines are a wonderful exception. Vitamin D is an immune system regulator, and vitamin D deficiency has been correlated with autoimmune disease. 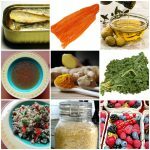 Vitamin B12 is another nutrient intimately connected to autoimmune health. One form of anemia is related to low amounts of this vitamin, and B12 deficiency can actually mimic multiple sclerosis. Selenium is a mineral that is essential to our body’s ability to detoxify, and phosphorous, like calcium, is necessary to bone health. Sardines are low in mercury. Many people worry about the mercury levels in seafood. The smaller the fish, the lower the mercury levels, and sardines are among the lowest. Choose sustainably fished sardines. When it comes to nutrition, we can't overlook the nutrition of the planet that feeds us. Overfishing is a problem, and sardines are no exception. 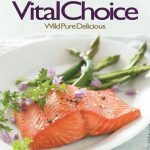 One of the reasons I buy my seafood from Vital Choice is that that 100% of the seafood they sell has been sustainably harvested. Use the code VCAFINT for 10% off your first order. I grew up on Cape Cod, but I didn't grow up liking seafood. In fact, I avoided it until I went paleo and learned about the benefits of omega-3's. It turns out it is possible to change your taste preferences, but it requires repeated exposure. I started slowly, eating milder fish in flavorful sauces. At first, I simply tolerated seafood, but eventually I grew to love it…all except for sardines. The fishiest of the fish, they remained my “seafood Mount Everest”. I hated not only the taste, but the smell. In fact, I used to insist my husband (a sardine lover) eat his on the porch. 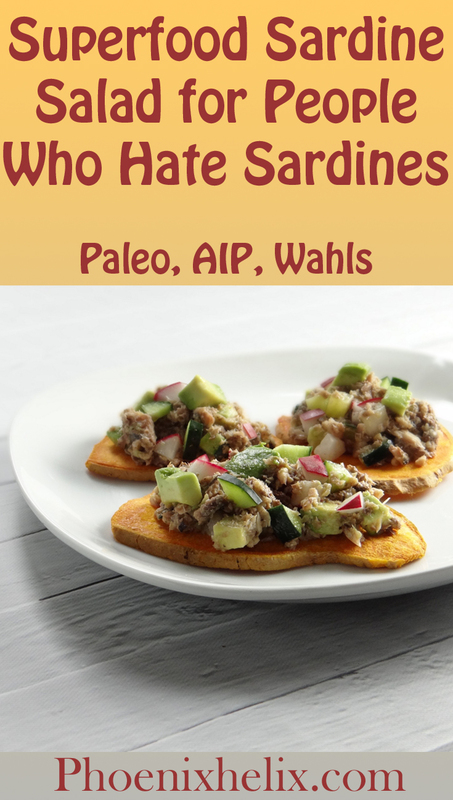 So, if you are a sardine hater, I understand! That's why I'm so excited to announce that I developed a recipe for sardines that I don't just tolerate but truly enjoy. It's my gift to you and me! 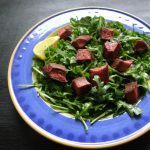 There's no effort in eating it, and my body feels this “zing” of energy afterward – a signature feeling that it's getting nutrition it needs, and nutrition it hasn't had before. What were the secrets that led to my sardine success? Buy the best tasting brand. A lot of things affect sardine flavor: where the fish was caught, whether it was frozen right away, the time of year, the canning process, and what other ingredients are added to the can. Vital Choice is hands-down the least fishy-tasting sardines I've ever eaten. They also make sure the olive oil in the can is authentic (unfortunately, olive oil fraud is a problem). Use the code VCAFINT for 10% off your first order. Add something acidic to cut the fishy flavor. In my recipe, I chose lemon juice and balsamic vinegar – a great combination. Add other chopped veggies for texture. Sardines have a soft, uniform texture that isn't very interesting on the palate. Adding some diced veggies with a variety of textures makes this salad more delicious than sardines alone. I chose radish (slightly spicy), cucumber (slightly sweet), and avocado (simply yummy). Add something sweet for balance. Seafood has a natural briny flavor that seafood lovers enjoy and seafood haters find challenging. A little something sweet balances the brine. 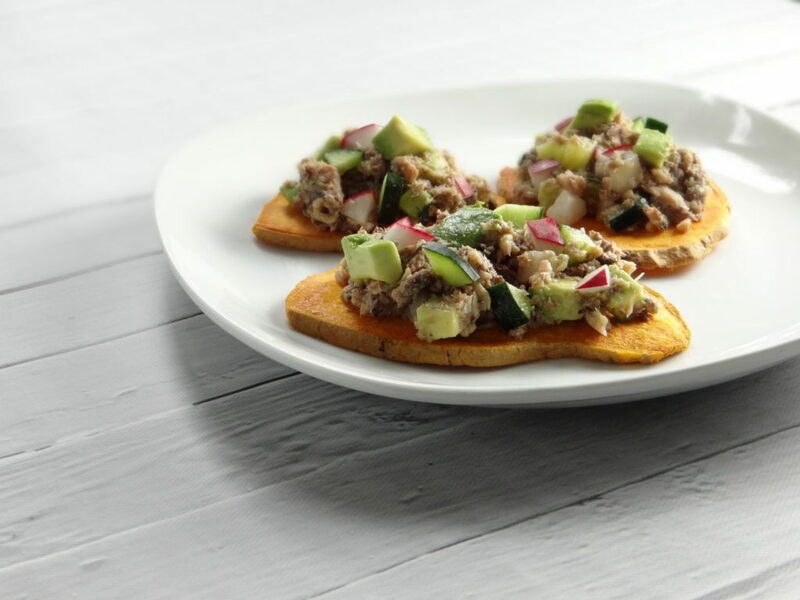 In this recipe, I served the sardine salad on Sweetpotato Awesome freeze-dried slices (learn more about them below). They're freeze-dried sweetpotato slices that are paleo and AIP-friendly. They have a unique flavor and texture I've never experienced anywhere else. They're crispy like a chip, but are thicker, lighter and softer at the same time. They also have a wonderfully concentrated sweetpotato flavor that makes regular chips seem bland by comparison. That's the effect of the freeze-drying process. 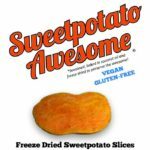 Sweetpotato Awesome comes in four flavors, three of which are AIP-friendly: Flat Out Awesome, Dilliciously Awesome, and Original Awesome. The recipe below uses Flat Out Awesome, which is simply organic sweetpotatoes cooked in organic coconut oil, and seasoned with sea salt. Purchase here. Carefully open the can of sardines. I usually do this in the sink, just in case the oil splatters. Lift the sardines out of the oil and place in a bowl (discard the oil). Using a fork, mash the sardines. Sprinkle with a little Herbamere seasoning salt, then add the lemon juice and balsamic vinegar, and stir to blend. Dice the cucumber and radish and add to the bowl. Stir to blend. Cube half of a small avocado and add to the bowl. Sprinkle a little more Herbamere on top, and then stir gently to evenly distribute the avocado throughout the salad. Serve on top of Sweetpotato Awesome slices. I used the “Flat Out Awesome” flavor. Alternatively, you can serve in lettuce cups or simply eat with a spoon. It's that good! Disclaimer: I was given samples of Sweetpotato Awesome to try, with no obligation. I'm 100% honest in my opinions, and it's very rare I like a product enough to include it in a blog post. But Sweetpotato Awesome impressed me, and I'm happy to support a business that supports the AIP community with healthy food choices that we can eat! I received no samples from Vital Choice. I tested multiple brands of sardines, paying out-of-pocket. Vital Choice was my favorite, by far.